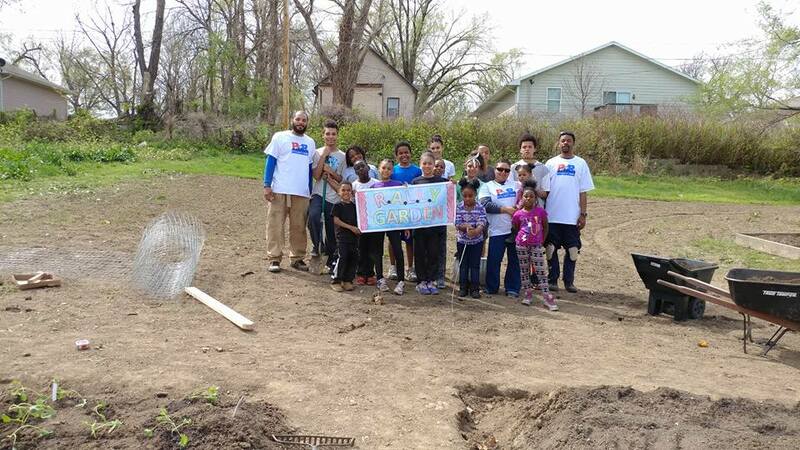 Back in the spring of 2017, Kansas City, Kansas residents Aaron Marks and Terrell Dyer decided to start a community garden as part of their mission to improve the quality of life in their Quindaro neighborhood. 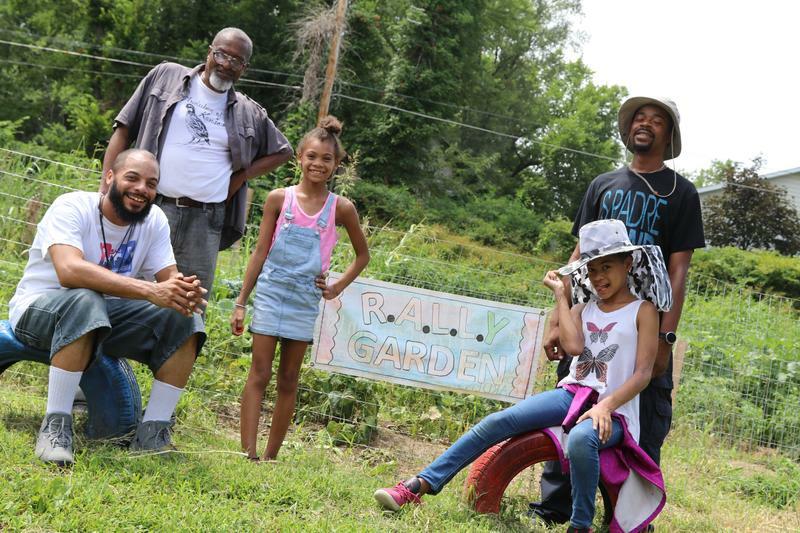 They coined the name for their mission “Project Rally”, which stands for ‘Respect, Accountability, Love, Leadership and Youth” and they thought a community garden would be a good way to rally the neighborhood residents together and introduce a healthy food source alternative at the same time. To get started, they reached out to fellow Quindaro resident Richard Mabion, who is the President of NAACP of Kansas City, Kansas and the first African-American on the board of the Kansas Sierra Club. 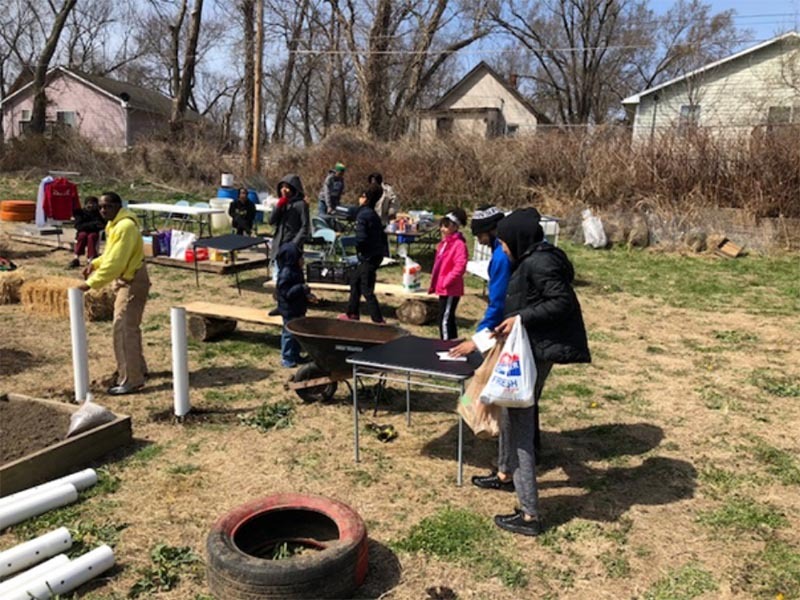 Together, they organized a neighborhood party to begin preparing land in four vacant lots that they owned to plant the Rally Garden in April of 2017 and solicited the help of Kansas City Community Gardens to help consult with the garden construction. The garden party was a huge success with adults and kids showing up to help till, plant, and build fencing to keep the animals out. The actual garden was a success too as they grew strawberries, potatoes, cabbage, and kale for any and all Quindaro residents to enjoy. The garden was such a hit that they decided to expand the garden this year with another garden party. 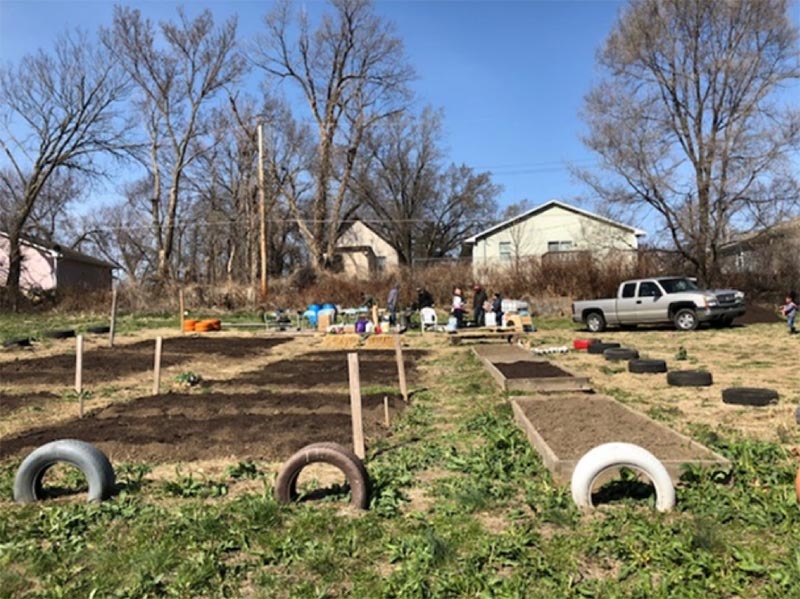 The expansion included more plots on another vacant lot on the south side where they planted cool season crops and a deck for a water tank. Plans for expansion are not done. In May, Project Rally plans to expand on the north side for more plots to make space for a melon section that will include watermelon and cantaloupe. To learn more about Project Rally, visit Project Rally’s Facebook Page.